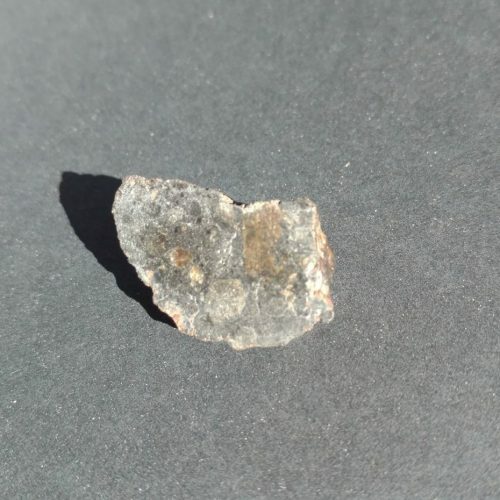 Offered is a polished fragment of NWA 11107. The sample weighs 3.248 grams and is an excellent representation of this fantastic stone. 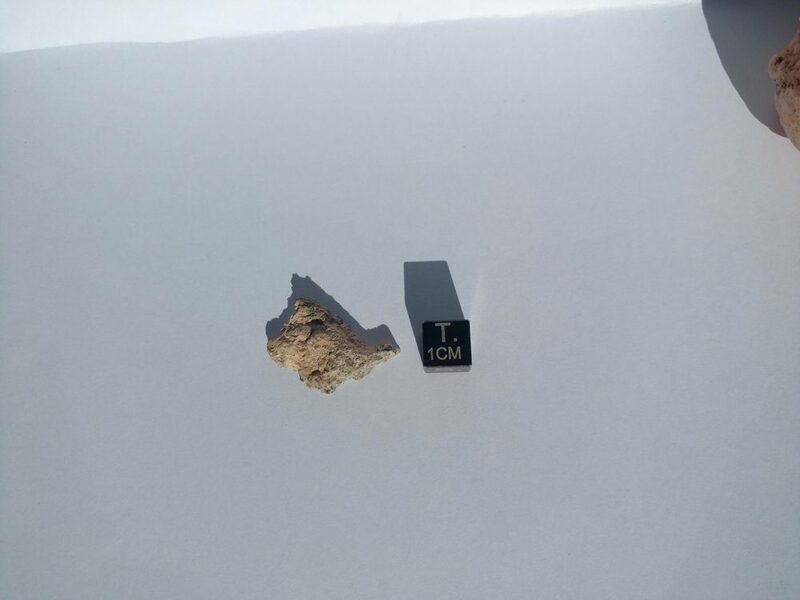 The 2+ Kg NWA 11107 will be kept whole in my collection or sold as an entire piece, minus this small bit and a few other crumbs that are left over from the sample removed for the type specimen. Sample comes in a gem jar and includes an ID card. 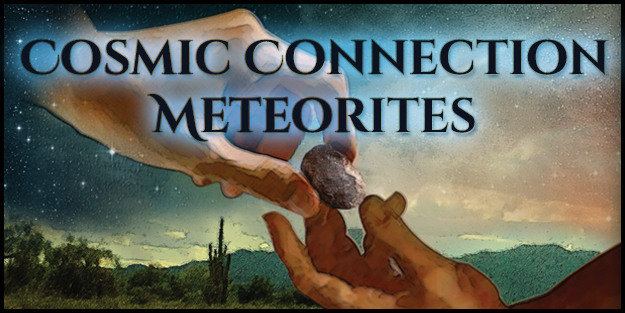 This extraordinary meteorite displays some amazing features and it is 1 of only 11 classified as “Eucrite Melt Breccia”! This stone has partial fusion crust and a smooth, undulating surface that covers a fair part of the stone. There is a small hole that goes all the way through the stone ( not pictured), and it has some extraordinarily large vugs in it too! The colorful material you can see on the surface is burnt cloth. When the Nomad found the stone he burned some cloth on it, apparently out of thanks for his good fortune. I’ve never seen or heard of this before and I think it adds a certain allure and appeal to the stone. History: Purchased by Larry Atkins from Morocco in June 2015. 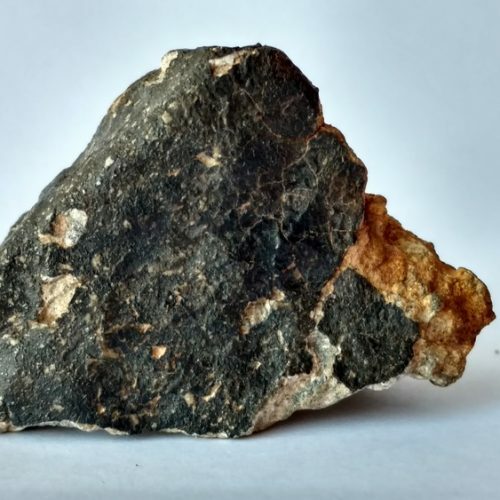 Physical characteristics: Single stone, partial weathered fusion crust. 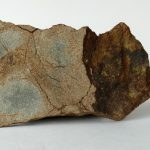 A saw cut reveals breccia with basaltic clasts up to 2 cm bounded by dark shock melt veins, some of which are up to 7 mm wide. 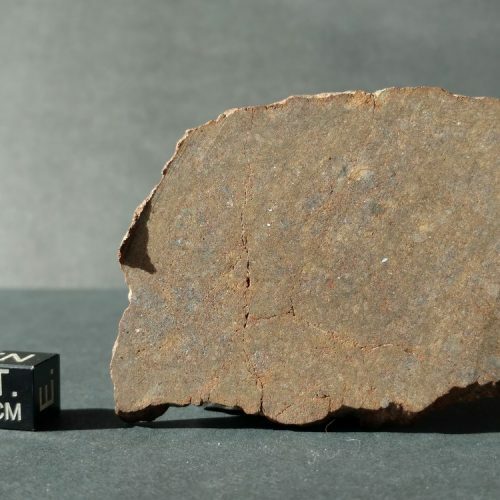 Petrography: (C. Agee, UNM) This meteorite is a fragmental breccia of pyroxene grains, basaltic clasts and a few feldspar grains. Shock melt is present throughout, some parts with vesicles. Many pyroxenes show exsolution lamellae. 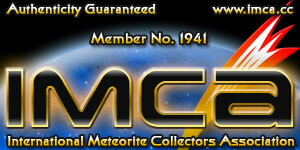 Accessory troilite and ilmenite were observed. Geochemistry: (C. Agee and B. Ha, UNM) low Ca pyroxene Fs60.8±1.5Wo3.9±1.2, Fe/Mn=31±1, n=8; high Ca pyroxene Fs42.2±13.2Wo28.6±17.5, Fe/Mn=31±2, n=4; plagioclase An89.3±1.1Ab10.3±1.2Or0.4±0.1, n=7. 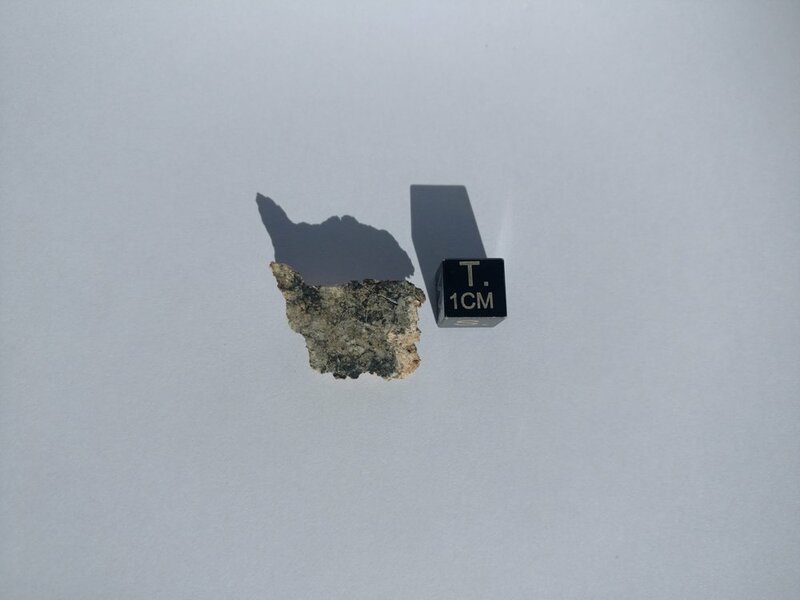 Classification: Monomict eucrite melt breccia with a single population of pyroxene compositions. 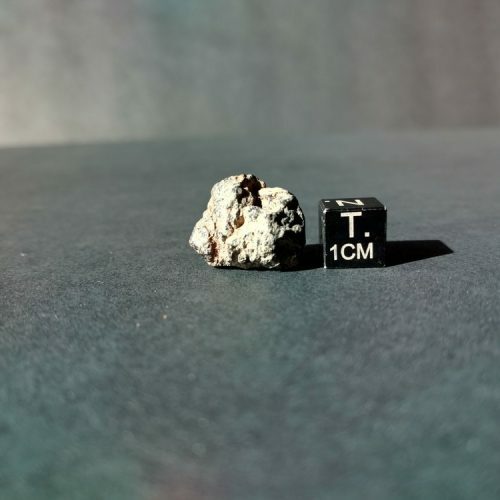 Specimens: 48.8 g including a probe mount on deposit at UNM, Larry Atkins holds the main mass.